Dirndl shoe with a great interplay of colours. 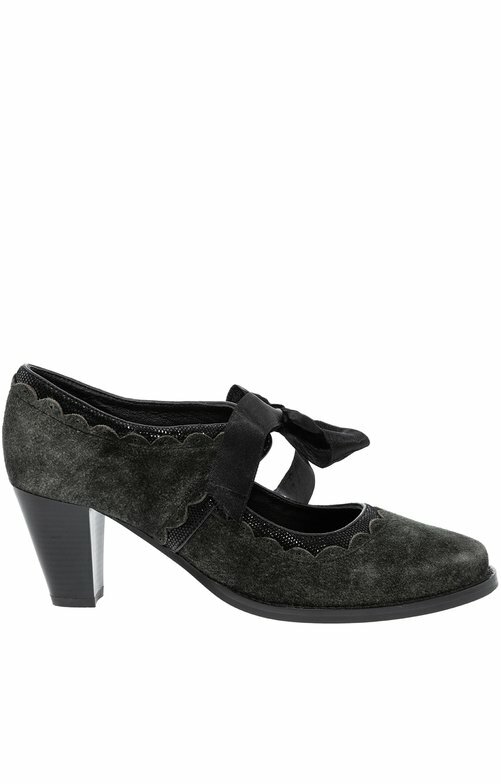 With a half-heel and a charming interplay of colours of dark green and black, the dirndl shoe Victoria lava will soon become your favourite shoe. It is tied in the middle of the foot with an elaborate bow and thus emphasises the typical traditional image. For every dirndl it is an absolute must.